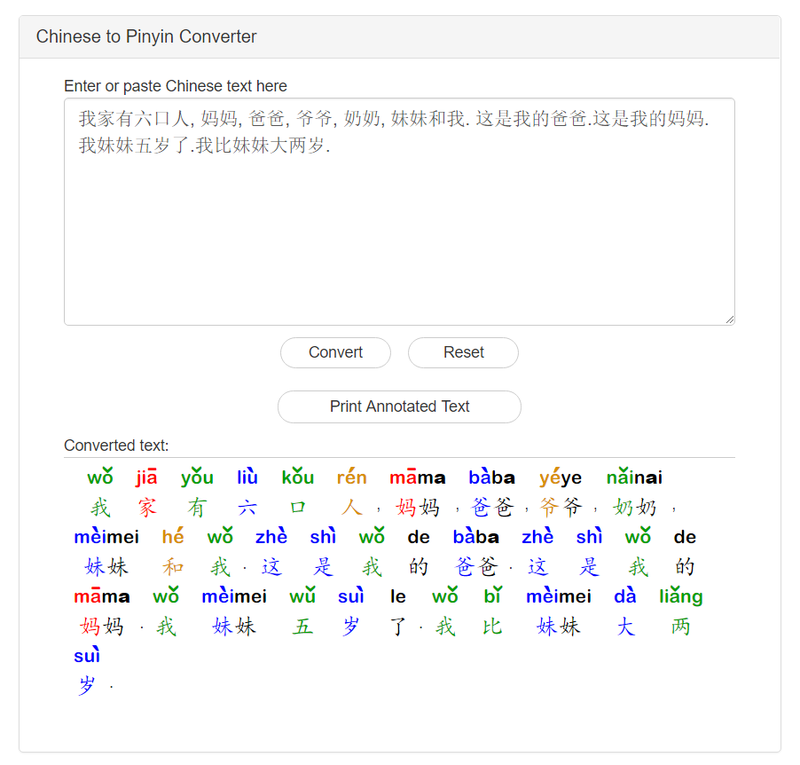 This tool can convert any Chinese text to Pinyin. Before you press the Convert button, you can adjust the converter settings as needed. For the characters that have multiple pronuncations, the system is able to intelligently pick the right one based on the context of the character. Both simplified and traditonal Chinese characters are supported. 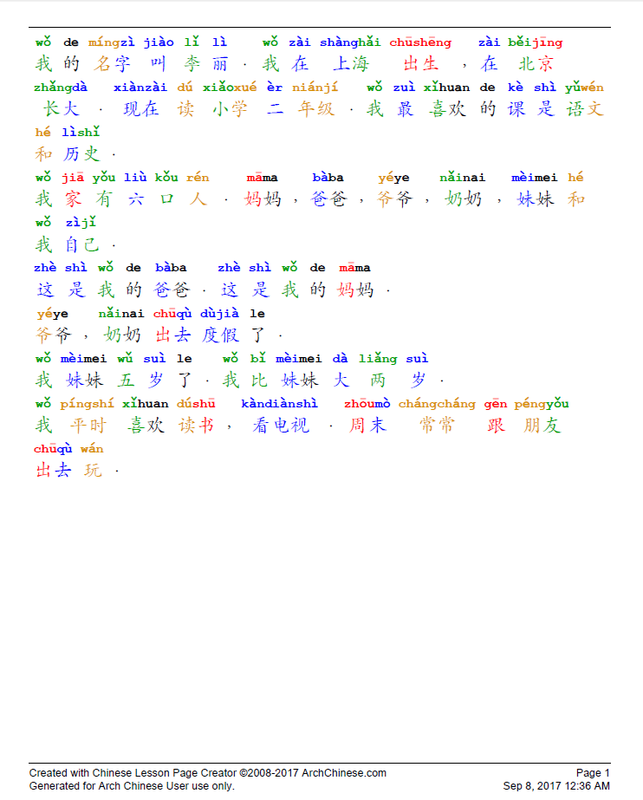 This page can be used as a Chinese text annotation tool. 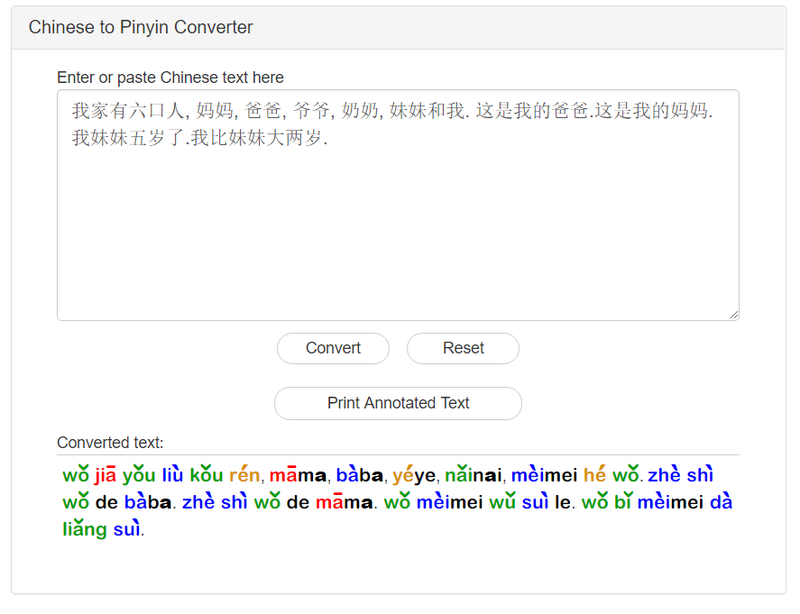 Click the Create PDF File button to generate a PDF with annotated Chinese text. You can also click the Create PPT Slides button to generate PowerPoint slides. Note that you can change the tone color scheme for PDF and PPT slides by adjusting the colors in option #5 of the converter settings on this page.